Defender Ben Mee was impressed with the reaction of his team-mates after the Clarets had fallen a goal behind early on at the Vitality Stadium. 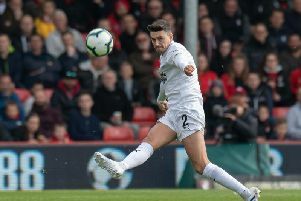 An own goal from Ashley Barnes had given AFC Bournemouth the advantage on the South Coast but the striker became the first Burnley player in 10 years - since Clarke Carlisle against Crystal Palace - to score at both ends to wrap up three important points. After clambering away from trouble in the Premier League, Mee said: “It was a really good reaction. They’re was a good feel among the group before the game, a good energy, but it was disappointing to fall behind so early. “There was just a feeling that we’d get back in the game, we cracked on after that and I thought we performed really well and played the game really well against a team we felt we could get after. 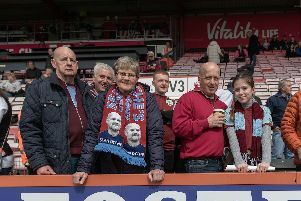 The Cherries quartet of Joshua King, Callum Wilson, David Brooks and Ryan Fraser have netted 34 goals between them this term in the top flight but the home side’s danger men failed to make much of an impression against Sean Dyche’s men. “We felt reasonably comfortable and limited them to a few chances,” said Mee. “They’re a side that creates a lot at home. We’ll take that. “They’ve got some really good quality players, lively players and quick players so they’re going to create chances. We kept them down to a minimum and we’re really pleased with that. “There was a good feeling about us today, coming off the back of a good win. It was a sloppy goal to concede but I felt like we’d get chances.